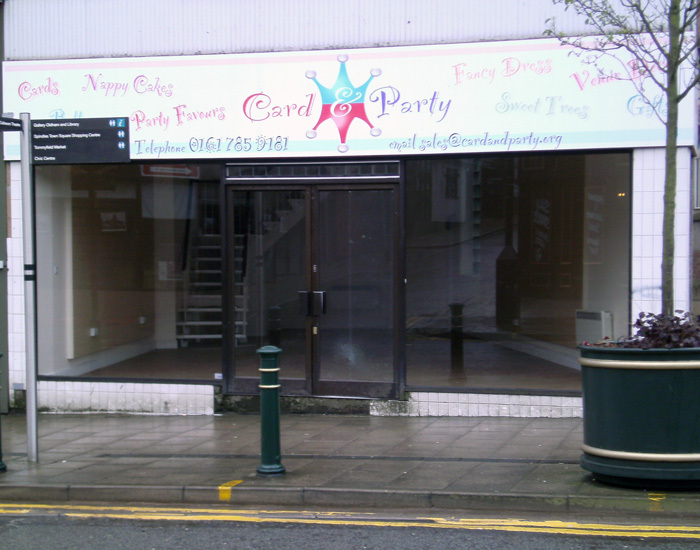 As we predicted and despite considerable building improvement grant spending by Oldham Council, the new greeting card shop “Card and Party” on Oldham’s independent quarter appears to have closed within a year of opening. On Tuesday the shop was completely empty and the glass in the front doors has already been smashed. Questions have to be asked of the business acumen of the Oldham Council Town Centre business team as to why they did not advise against opening the shop away from the main shopping area when Oldham already has at least six established greeting card shops in the core Town centre shopping area. Oldham Council continues to make press releases for every new business that opens in Oldham but fails to balance the economic landscape of Oldham by communicating anything regarding the many businesses that have closed.